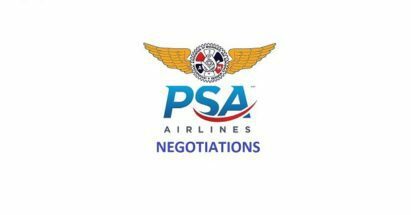 The last meeting between the Company and Union took place on May 29, 2017 of this year to engage the PSA leadership in a very specific conversation about the economic divide in negotiations, the state of the industry and to explore any potential to bring the IAM membership an agreement to vote on. The Union has consistently represented the industry leading message you wanted to send. The Company’s position, and attitude as represented by their sub-standard economic package, has shown us that continued negotiations would be fruitless. After months of this ridiculous dialogue, and with your best interests in mind, the IAM has filed to enlist the services of the National Mediation Board (NMB) in these negotiations. Today, the IAM Transportation Department leadership filed our application with the NMB to begin the process. The parties will begin meeting again under the auspices of the National Mediation Board as soon as a Mediator is assigned. We will communicate further details concerning a schedule of meetings when they become available. It is imperative that you do not listen to rumors. If you have questions, please contact your committee members or Union Representatives. Your patience and solidarity will be essential in reaching a fair and equitable agreement for the membership as this process keeps moving forward.